What Does Search It Include? Why Should I Use Search It? This is a starting point to learn how to use the Search It research tool. If this guide does not have the information or guidance you are looking for, do not hesitate to Ask a Librarian. 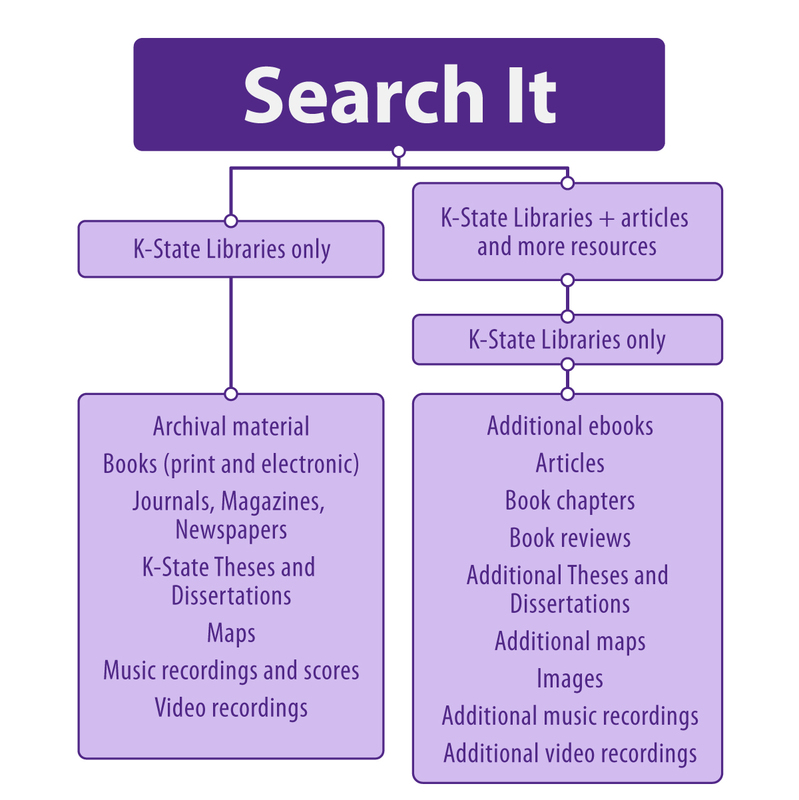 K-State Libraries subscribes to many databases that contain articles, data, videos, and other digital resources. Search It scans many, but not all of our subscriptions, so check out this page to see if your database is included. Watch this video for a brief introduction to the functions and features of Search It.